Product categories of Lunch Bags & Totes, we are specialized manufacturers from China, Lunch Bags, Lunch Totes suppliers/factory, wholesale high-quality products of Neoprene Lunch Tote Bag R & D and manufacturing, we have the perfect after-sales service and technical support. Look forward to your cooperation! Lunch Cooler Bags is a great gift for students. Large capacity lunch cooler bags can hold many things , lunch box ,fruit ,water bottle,candy etc . These lunch cooler bags is heat protection , morning you can prepare the food in lunch box and put in Lunch Bags ,the lunch bag sleeves keep temperature about 1-4 hours,your children eat hot foods in school. 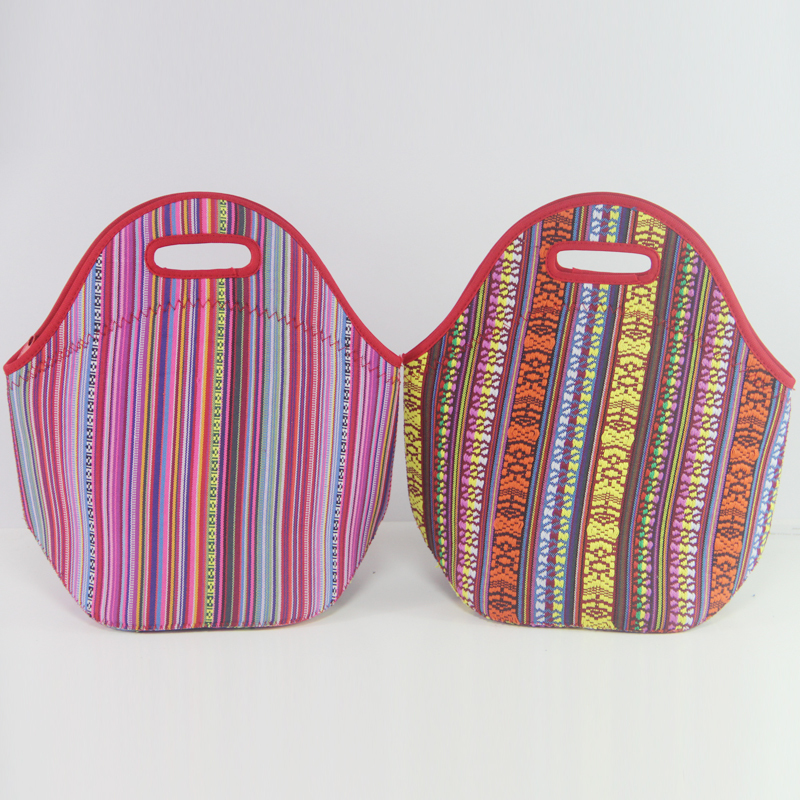 To be fashionable ,these lunch box holders accept any printings on it . Animal ,flower or show your company name ,do your brand lunch cooler bags . In weekend ,the lunch box can be as picnic bags ,take some fruit or drinkings go outside for picnic or camping . If you have little baby ,lunch bags can be mommy bags ,put in milk ,hot water ,toys, lightweight and waterproof . Oem neoprene factory accept any unique lunch cooler bags design .